Over 153 million people worldwide suffer from vision problems, limiting their potential to read, learn, and work. 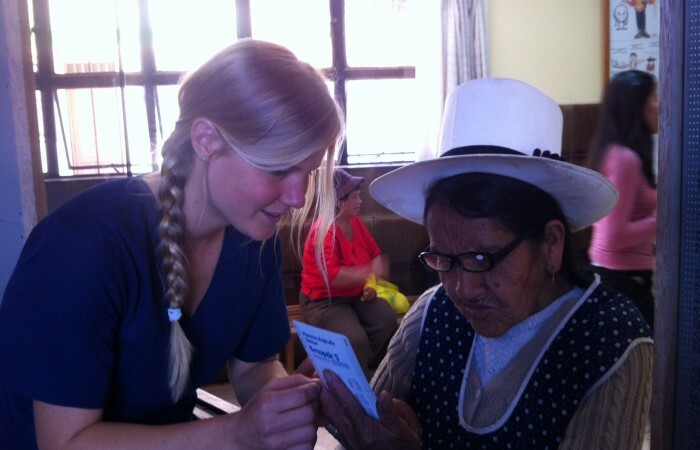 Matter of Trust is proud to partner with Dr. Rosa Ten and her medical missions. We collect used eyeglasses for those in need, such as the people she treats in Peru. The Lions Club has gained worldwide recognition for their volunteer work in vision services and very generously contributed to our glasses drive, as well. Dr. Ten will be returning again this year. If you have any unused glasses, sunglasses, readers, disposable contact lenses, or hearing aids, consider donating them to this program. If possible, please include the prescription or write on a post-it and include it in the package. Whoever receives it in Peru will appreciate your gift of sight.